ARKDOWN are a formidable modern metal quintet hailing from Sheffield. 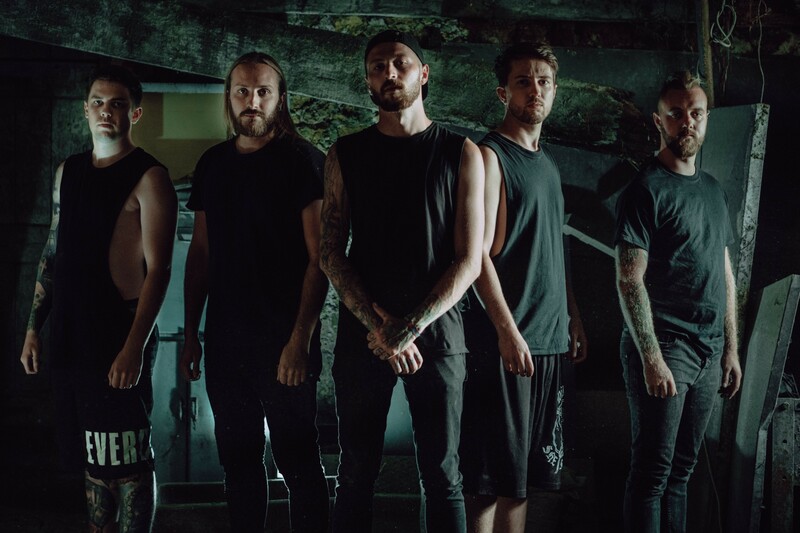 Formed in late 2015, the emerging metallers draw from contemporary metalcore and deathcore influences, framed by their own melodic but heavy riff-based style. The Steel City riff beasts have just revealed a new track, Mirrors, which is taken from their sophomore EP, The Calling, out Friday 2nd November. To date, ARKDOWN have toured the length and breadth of the country, self-releasing their debut EP, Paths, and dropping a stand-alone single. Their debut offering picked up rousing approval from the UK underground, with Gig Radar citing that the band are ‘A Force to be reckoned with on the British Metal Scene’. ARKDOWN have also supported a glut of established artists from Fit for an Autopsy, Oceans Ate Alaska and Martyr Defiled, to Kingdom of Giants, A Night in Texas and Shields. ARKDOWN’s new EP, The Calling, is a colossal step up for the band. Bursting with five cuts of heavily driven metalcore, hard-hitting drums, and layered melodic leads, all offset by aggressive and dynamic vocals, ARKDOWN have crafted a record that will stand the test of time. Vocalist Kyle Dawson comments about the EP: “‘The Calling’ is a nod to the French term ‘L’appel du vide’ (Call Of The Void), which is the urge to throw yourself into danger. The record takes a hard look at the lure of self-destruction and trying times”. With further touring currently in the works, along with European shows in 2019, the future is a very bright one for ARKDOWN.